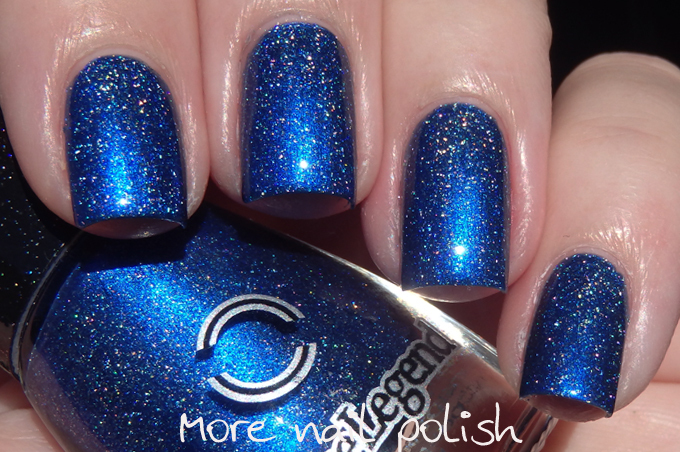 The prompt today is 'inspired by a colour', and each year I've interpreted this to be inspired the the name of a polish. 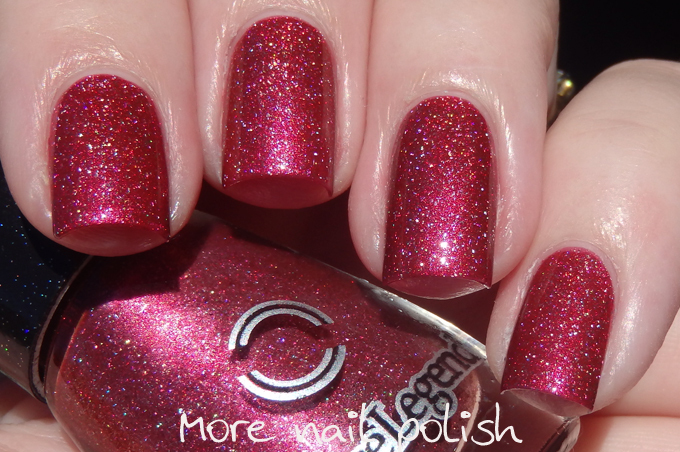 For the third time in five years, I've chosen a polish from Dance Legend. 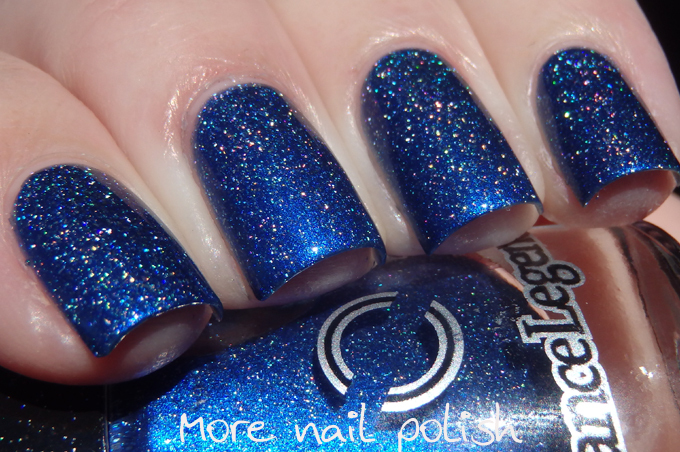 I just that shows that they have some well chosen names among their polishes. 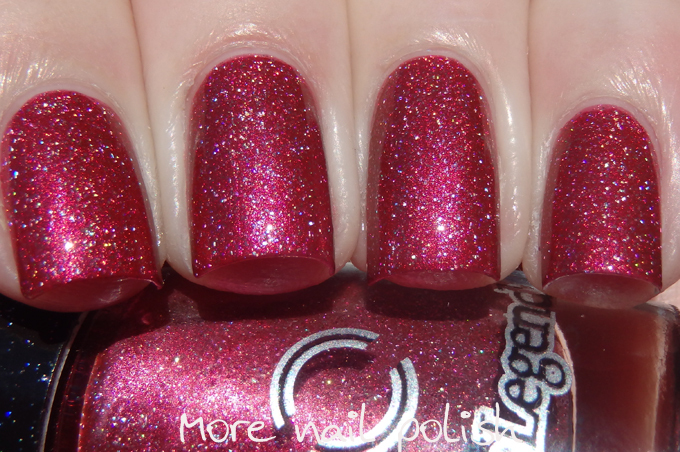 Now I've actually chosen two polishes from Dance Legend for the inspired by. 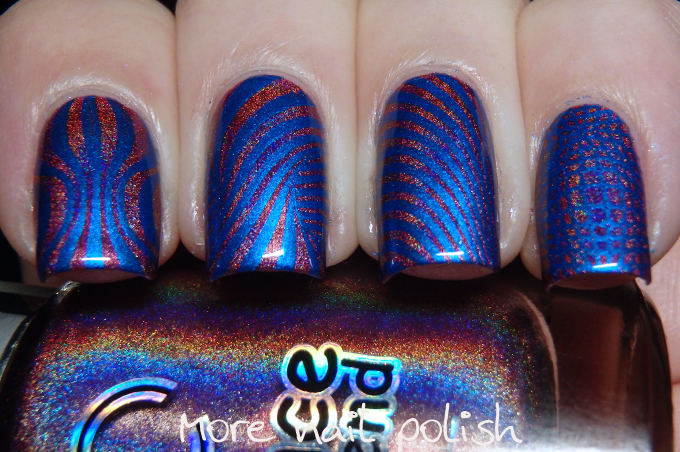 Red Pill and Blue Pill from the Matrix collection. 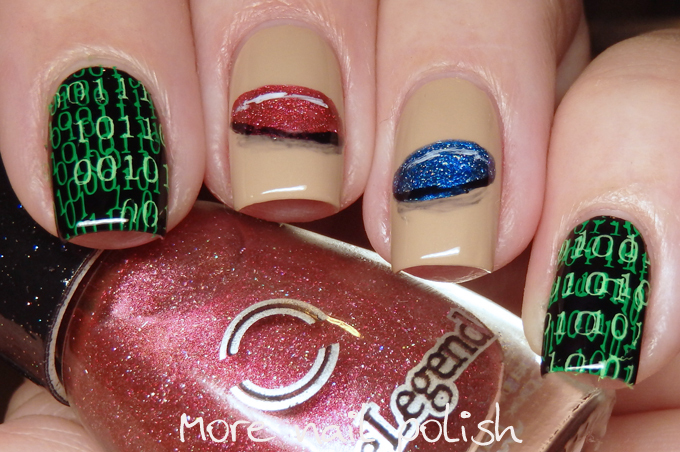 There are six polishes in the collection and they are all inspired by the Matrix movie. These two are absolutely amazing, and the pick of the bunch in my opinion. 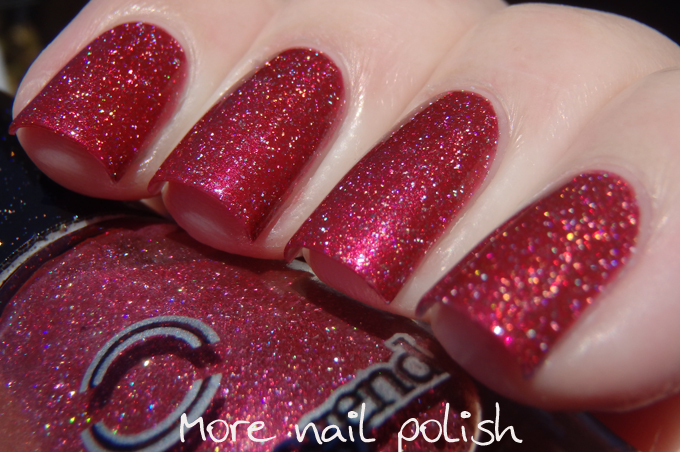 Be sure to scroll to the bottom to see my swatches of Red Pill and Blue Pill. For the nail art, I attempted to create the actual Red and Blue pills like the appear in the movie. 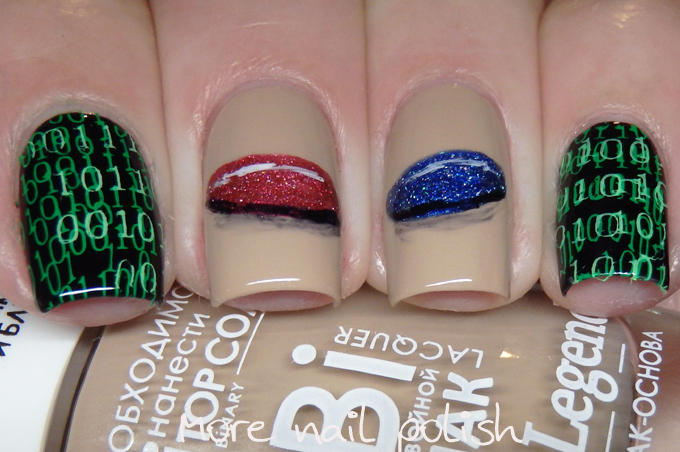 On the other fingers I created the Matrix by stamping the binary numbers from BM415 in two shades of green. 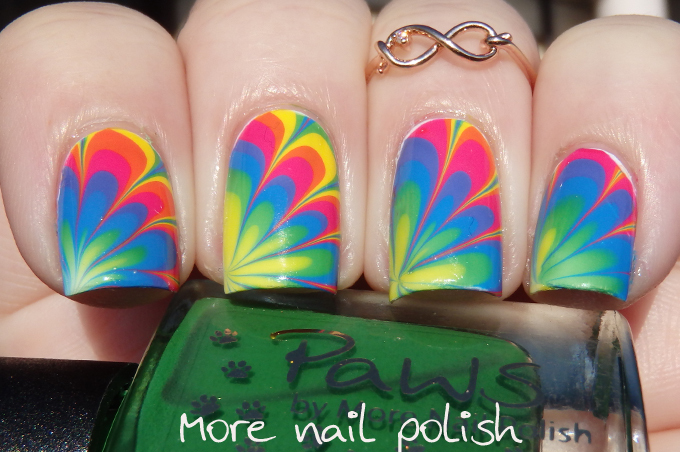 My inspired by a colour nails from 2013, 2014, 2015 and 2016! 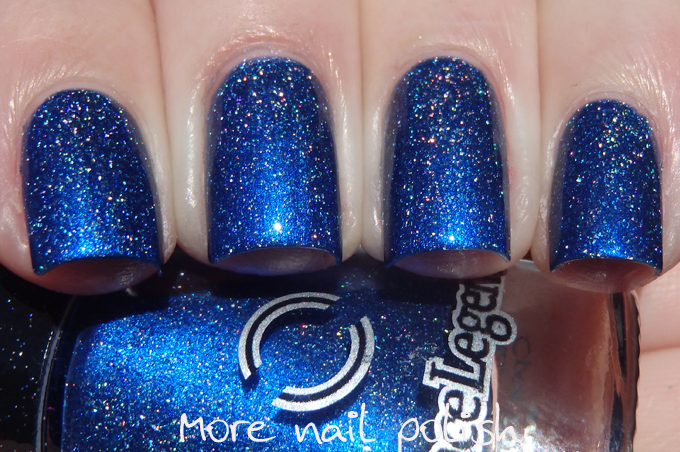 Here are my swatches of Blue Pill. It's quite amazing. 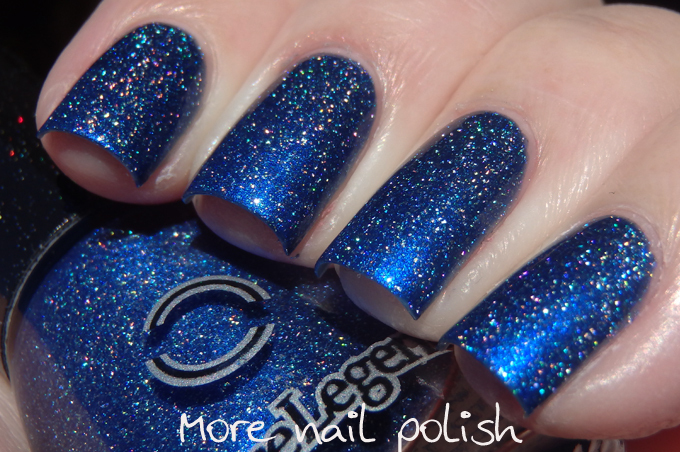 It is a rich bright metallic blue with a scattered holo finish. 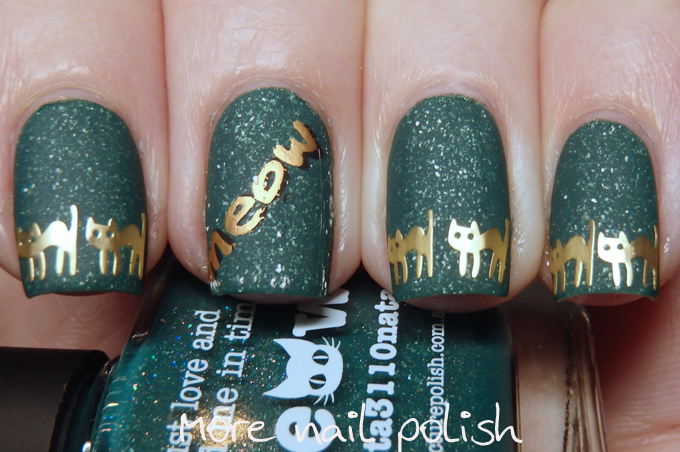 Opaque in two thin coats. 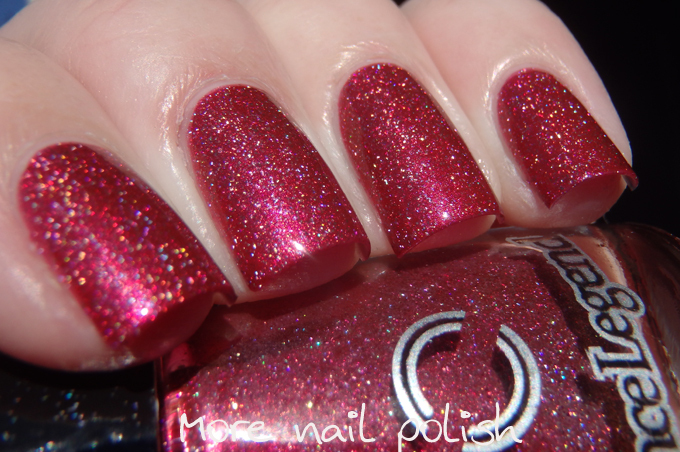 Red Pill is a red version of blue pill, a metallic red finish with scattered holo. 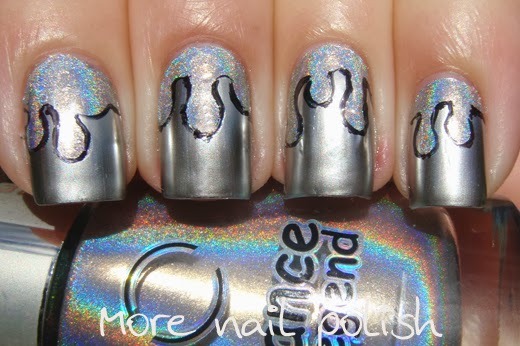 Opaque in two coats and finishes with a gloss.